Contemporary Worship features theatrical style music and video performances in a less formal setting than traditional worship services. Architectural acoustics and well designed audio/video and control systems are crucial in creating an environment necessary for this style of church service. complete AV system design, budgeting, bidding and construction oversight duties. for the audience and a confidence monitor projection system for the choir round out the design. 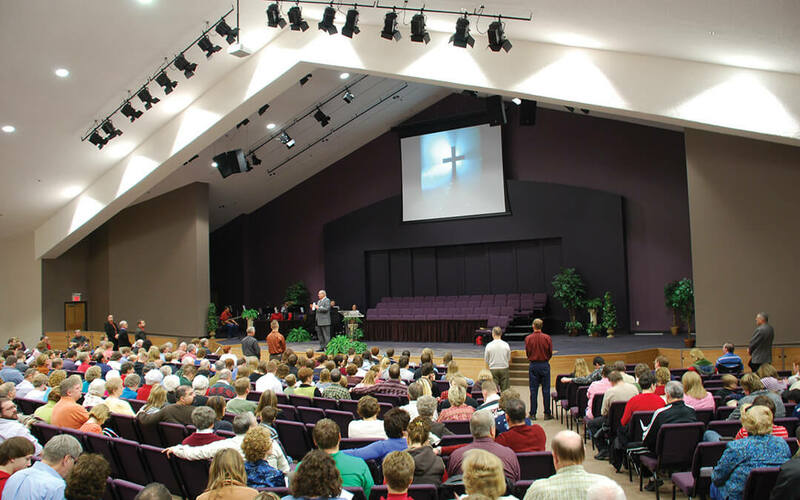 Community Church to concentrate on their worship services with confidence.